Looking for a way to trigger samples from your drums during live performances? Or, maybe you just need to trigger that mesh drumhead practice set you have in your basement? Either way, the new RT-10 acoustic series triggers from Roland allow you to trigger sounds and samples from the comfort of your primary drums no matter what the situation. Improved sensors and a new design deliver professional quality and performance, and their price is reasonable, too! The new RT-10 series acoustic triggers come in three different models: the RT-10K for kick drums, RT-10S for snare drums, and the RT-10T for toms. At first glance, these triggers look substantially different from their predecessors. The casings for the new RT-10 triggers are made out of a high-density plastic and are noticeably lighter in weight. For example, the older RT-5S snare trigger was made out of machined metal and weighed in at six ounces – double the weight of the new RT-10S. One big change with the new RT-10T tom trigger is the addition of a cone sensor. We never quite understood the logic behind the older RT-3T tom trigger with its absence of a sensor that physically touched the drumhead. 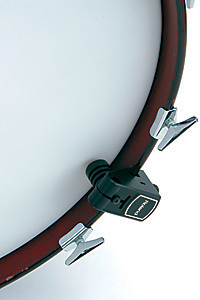 The RT-10 triggers are highly versatile and can be used with both regular acoustic drumheads as well as mesh drumheads. While the previous generation triggers worked with mesh snare and kick drumheads, the RT-10T adds support for triggering mesh tom heads as well. 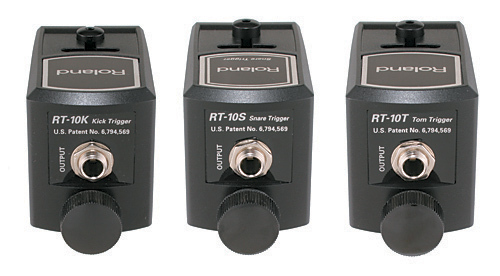 As far as sound module compatibility is concerned, the RT-10 series triggers will work with the majority of sound modules on the market today. If you already have a Roland sound module, the triggers work directly with the V-Drums TD series, TMC-6, SPD series, and HPD series modules. Setting up the RT-10 triggers was straightforward and took no longer than fifteen minutes. The only tricky part of the set-up process was adjusting the sensor position. The triggers have a sensor bolt that, when loosened, allow you to control the amount of compression play the sensor has with the drumhead. According to the documentation, the sensor should compress approximately two to three millimeters against the drumhead. This was a simple enough task for the snare and tom triggers, but the bass drum trigger was a bit more challenging. In order to set the compression correctly, you need to press in on the drumhead near the sensor, adjust the sensor so that it makes contact with the head, and then tighten the sensor bolt. Performing this trio of steps all at once can be a bit awkward if you’re working in cramped spaces. Each of the triggers came with twelve-foot stereo cables that were the perfect length to reach a sound module located to the left of our acoustic drum set. We didn’t spend any time routing the cables along stands or around drums to reduce their visibility as we imagine most drummers would want to do. For larger kits, the twelve foot cables might not be long enough if you need to wrap the cables up neatly, especially for those far-away drums like floor toms or sound modules that are located off-stage or in a rack. We happened to have a twenty-foot ¼ inch stereo cable lying around in our studio, and it worked perfectly with no noticeable affect to the trigger response. (Note that the RT-10S snare trigger is the only one that requires a stereo cable. The other triggers will function just fine with mono cables). For those of you that have wood hoops on your snare or toms, take note. The RT-10 triggers can accommodate hoops up to 9/16 inch thick. Our snare drum for the review initially had a set of ¾ inch thick maple hoops that were too wide for the RT-10 triggers and thus had to be replaced with standard double flanged steel hoops. Muffling is another area that might affect the trigger placement or type of muffling used on the drumhead. The bass drum on our acoustic kit had an Evans EMAD external muffling drumhead. If you are not familiar with this head it has a hard plastic sheath on the outside edge of the drumhead that is used to hold interchangeable damping rings against the drumhead. Unfortunately, this damping ring system sits directly beneath the sensor on the trigger and does not allow it to make contact with the drumhead. We changed to a standard clear bass drumhead and used an internal damping ring system instead that provided the same level of sound control. In anticipation of this issue, a section in the Owner’s Manual provides some recommendations for muffling, including the use of ring mufflers. Since we didn’t have any ring mufflers for the snare or toms, we used square gel pads placed around the outside of the drumhead that worked equally well. Although the new RT-10 triggers are lighter in weight than their predecessor, the reported ten percent reduction in overall size was less noticeable. These triggers are just plain big! Part of their large appearance can be attributed to the change in building materials. The previous models were made of metal and blended in with the rest of the chrome drum hardware whereas the new models stand out like a French horn in a punk band. As big as the triggers are, their actual intrusion into the playing area was minimal. Tip: When setting up the triggers, make sure they are positioned on the outside of the drum (furthest point on the drum away from you) to avoid interference between closely position toms, rim shots, or any other hardware that might cause unwanted vibrations. The triggers are designed for placement between the lugs on the drum rim, which provides greater flexibility for placement compared to products that attach directly to the lugs. We found the triggers worked well when mounted on the rim directly above the RIMS tom mounting system on our evaluation drum set. This is possible since the RT-10T and RT-10S triggers’ height is limited to 50 mm and does not protrude below the bottom part of the rim. OK, so these triggers didn’t win any beauty contests, but what they lacked in aesthetics was made up for in performance. On hand for the evaluation were two drum sets: an acoustic with real drumheads and an electronic kit with mesh drumheads. We started by attaching the triggers to the acoustic kit and connected them to a Roland TD-20 sound module. Since we were only provided one of each type of trigger we had to jockey the cables and triggers around the kit to evaluate their performance on different size drums and in different positions. It was tempting to just plug them in and start playing, but we restrained ourselves enough to complete the documented set-up process that provides recommended sound module parameter settings for the triggers. It was a bit challenging to hear the triggered sounds over the acoustic volume of the drums with normal around-ear headphones without cranking up the sound module volume to dangerous levels. Switching to a set of in-ear headphones provided the noise reduction we were looking for, allowing even the quietest of triggered drum sounds to be heard. Now, let’s talk about performance. The first thing we noticed were some missed hits with the RT-10K kick trigger. Our bass drum was tuned fairly low, to the point where the drumhead was just tight enough to not have any ripples. It is entirely possible the drumhead was not vibrating enough at the edge for these lighter hits to trigger. This was fixed by slightly decreasing the value of the Threshold parameter. The Owner’s Manual clearly states that the default parameters will require some adjustment to match the state of your configuration and environment, so expect to spend some time tweaking the settings. After making the Threshold change we were able to reproduce the full dynamic range of the bass drum sound assigned to the TD-20 drum kit we were using. Also note that the bass drum we used was free standing and did not have any tom hardware mounted on it. Mounting toms or cymbals on the bass drum might require higher Threshold settings to prevent false triggering. 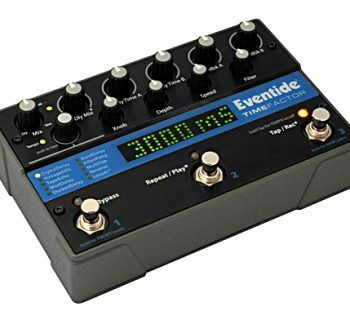 The RT-10K triggered equally well when a double-bass pedal was used. Granted, our feet are not as fast as Mike Portnoy’s, but the RT-10K never missed a beat. We ran the RT-10S snare trigger through the standard gauntlet of rudiments paying very close attention to each and every tap of the stick on the drumhead. Threshold was adjusted lower for the RT-10S, just as with the RT-10K, to reduce the occurrence of missed hits. In addition, we decreased the Sensitivity parameter slightly to improve the dynamics. 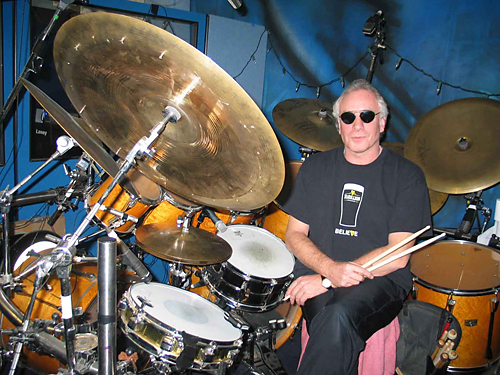 Buzz rolls were extremely accurate and thanks to superb tracking from the TD-20 we never experienced the dreaded “machine gun” effect that plagues many trigger interfaces during fast playing. Can we just tell you how cool the dual-zone (head plus rim) functionality is for the RT-10S? The trigger separation between the head and rim was fantastic, and the sound assigned to the rim was never triggered unless the rim was explicitly hit. 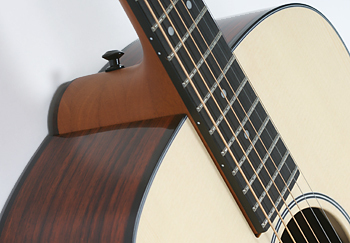 This adds a whole new dimension to acoustic triggering by creating a truly realistic and expressive playing experience. 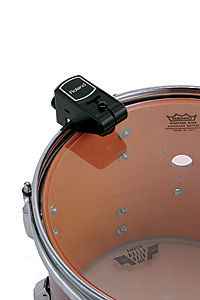 The TD-20 sound module has an option to assign a cross-stick sound to the rim trigger on its drum kits. This means that you can actually generate three different sounds (head, rim, cross-stick) from a single RT-10S trigger. It takes a bit getting used to as the velocity to trigger the cross-stick sound on the rim was less than that required to trigger the rim-shot. The RT-10S and the RT-10T performed virtually the same with the only difference being that the RT-10T only contains a single trigger. The previous generation tom trigger was lacking a cone sensor, and we feel the addition of this sensor improved the triggering of the RT-10T dramatically. Hitting the rim on a tom with an RT-10T attached will still trigger the assigned tom sound, but it will not trigger a different (alternate) sample. 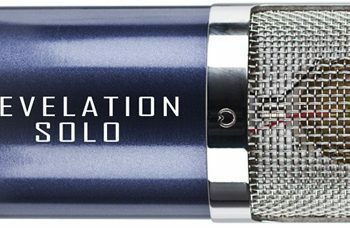 There is nothing keeping you from using the RT-10S on your toms either. Since the TD-20 trigger inputs are all dual-zone compatible, the RT-10S works very well when used with toms. Most of the TD-20 tom sounds have both head and rim samples assigned to them, so the RT-10S allows you to access the tom rim shots for even more variety and realistic play. One of the highlighted features of the RT-10 series triggers is their ability to work with mesh drumheads. Mesh drumheads have become a popular option for many drummers that are looking for a way to practice without generating a lot of sound. Combining the RT-10 triggers with mesh drumheads on an acoustic drum set is also a much cheaper option than purchasing an entire set of electronic drums. For our evaluation we setup the RT-10 triggers on our V-Drum set that has both 10 and 12 inch mesh drumheads on the pads. Obviously we don’t need triggers for our V-Drum pads, but for testing purposes, they functioned like other mesh heads on the market. This worked out conveniently since we were able to plug the triggers into the same inputs the original drum pads were using. We started by resetting the parameter values back to the original values recommended in the Owner’s Manual for the RT-10 triggers. The triggers worked just as well on the mesh drumheads as they did for the acoustic drumheads. Roland pioneered the use of mesh drumheads on their pad triggers, first seen on the PD-100, PD-120, and KD-120 V-Drum pads, close to a decade ago. The sensitivity and responsiveness of the triggers on the mesh pads is amazing. The only issue we found was occasional crosstalk between the tom triggers. Crosstalk is what happens when vibrations and sounds from a drum being struck end up triggering other drums. We found the tom triggers (using both the RT-10S and RT-10T on toms) were triggering each other when the pads were hit hard. In our case this was caused by all the tom triggers and pads/drums being mounted on the same rack stand system. To rectify this we first set the tom triggers to the same Crosstalk Cancel Group (a feature only found on the TD-20 and TD-12). Next, we adjusted the Crosstalk Cancel value for each of the tom triggers until the unwanted sound was no longer triggered. Whether or not your non-Roland electronic drum brain has this capability may require a read of its documentation. Just for fun, we decided to plug both the V-Drum pad and RT-10 trigger into the TD-20 at the same time but for different channels. This configuration essentially gave us two triggers and two sounds for the same drum pad! Although this is not a common use of the triggers, it did allow us to layer two different sounds. 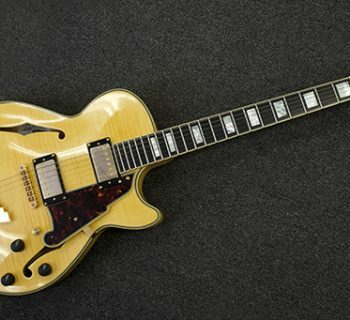 We think Neil Peart would enjoy this capability. Roland did a great job with the lightweight Owner’s Manual that ships with each of the RT-10 triggers. It was very useful and helped make the setup and configuration process a painless event. We especially liked the “Percussion Sound Module Parameter Settings” which documents the parameter settings for the more current Roland sound modules, including: TD-20/12, TD-6V, TD-3, TMC-6, SPD-20, and SPD-S. Unfortunately those of you not using a Roland sound module will have to interpret the settings for your brand module’s parameters. Luckily for us, the default parameters were close to perfect and only required minor adjustments. Another useful section in the Owner’s Manual covered the issue of drum muffling. 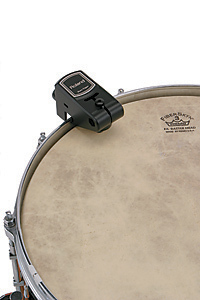 According to Roland, the use of muffling can actually improve the accuracy of the trigger while reducing excess vibrations from the trigger and drumhead. The manual also provides a picture showing how to property cut a section out of a ring muffler so that it doesn’t interfere with the trigger sensor. The biggest difference between the RT-10S and RT-10T is cost. With only a $10 price difference, it’s a no-brainer: splurge for the slightly more expensive RT-10S. The only reason you might want to go with the RT-10T is if your sound module does not support dual-zones or if you don’t want to trigger rim shots. Even in the latter case you can always disable the rim sound within your sound module when applicable.